11.78 Wh, 3100 mAh Litiumjon, 15 W (Samsung Adaptive Fast Charging/Qualcomm Quick Charge 2.0), 12 W trådlös laddning, Qi/PMA omvänd trådlös laddning. Den minsta versionen av Samsungs nya flaggskepp kommer tilltala den som tycker det är motbjudande att behöva betala nästan 10.000 kronor för en smartphone. S10e har många av funktionerna som finns på de dyrare syskonen men Samsung har gjort en del kompromisser för att hålla kostnaden nere. Läs vidare för att få reda på hur S10e presterar i våra tester och huruvida den är mer prisvärd än Galaxy S10 eller S10+. The Galaxy S10e might not have all the frills of the Galaxy S10 and Galaxy S10+, but at Rs. 55,900 it retains a lot of the features and style of the other two, making it very good value. In India, it's a much better deal than the iPhone XR ₹ 67,999, not only in terms of features, but also cost. The closest competition to the Galaxy S10e at the moment seems to be the Google Pixel 3 ₹ 58,999 (Review), which can be found for roughly Rs. 58,000 online. The latter is still a good buy if you want the stock Android experience, a compact form-factor and a good set of cameras. 85% Samsung Galaxy S10e review: The best of the bunch? The S10e is the obvious choice for anyone that's a fan of smaller phones, but even if you're not, if you've been thinking about picking up an S10, consider the S10e first. It's S$220 cheaper than the cheapest S10, and the only thing you're really giving up is a 2x telephoto lens. For me, that's a worthwhile tradeoff. Samsung Galaxy S10e Review: Yo! This is the Phone. As you can tell, I’m a big fan of the Galaxy S10e. It’s a phone I can easily recommend people buy, unless they are looking for the battery life champ. This phone is average in that department, but it’s just so good in so many others. The best part is the price tag, of course. At a starting price of $750, the Galaxy S10e is considerably more affordable than the S10 or S10+ while offering a nearly similar user experience on most fronts. Overall, the Galaxy S10e is an excellent compact flagship phone and gets our hearty recommendation. The Galaxy S10e is a curious addition that will likely succeed in getting a Samsung phone into even more hands this year. It doesn’t sacrifice that much either, only losing a camera, some curves and some screen size from the S10. The Galaxy S10e isn't the most exciting or enticing of the three Galaxy S10 models, but it provides the best value of the bunch if you're at all concerned about price. The sales pitch for the Galaxy S10e at about $30 per month on a financing plan is pretty simple when you can show everytyhing that it shares with its more expensive counterparts. And at the same time, it's actually the most desirable choice if you're someone who values a compact smartphone and doesn't want to compromise on the core capabilities of modern Galaxys that are all so appealing. The Galaxy S10e will probably appeal to more people. It’s less expensive, starting at $749, and has the same bleeding-edge specs as its bigger brothers. It’s like the iPhone XR of the Android world. The S10 is a near perfect smartphone save for one important issue: it's extremely expensive. The S10e, Samsung's supposedly entry-level smartphone, is priced at $1,019, with the S10 coming in at $1,259 and the S10+ being priced at $1,419. Like the iPhone XR, the Galaxy S10e takes most of the headline features from its flashier siblings and offers them in a package that’s easier on the wallet. This isn’t a cheap phone – and it’s not trying to be – but neither is it an investment in the same vein as, say, the S10 Plus. Samsung’s Galaxy S10e packs many of the same features as its bigger brothers at a lower, more palatable price point. While it loses a third camera, in-display fingerprint scanner and a curved screen, the phone’s smaller size, cheaper price tag and uncompromised performance make it perfect for people who are tired of large, ungainly smartphones that have high price tags. 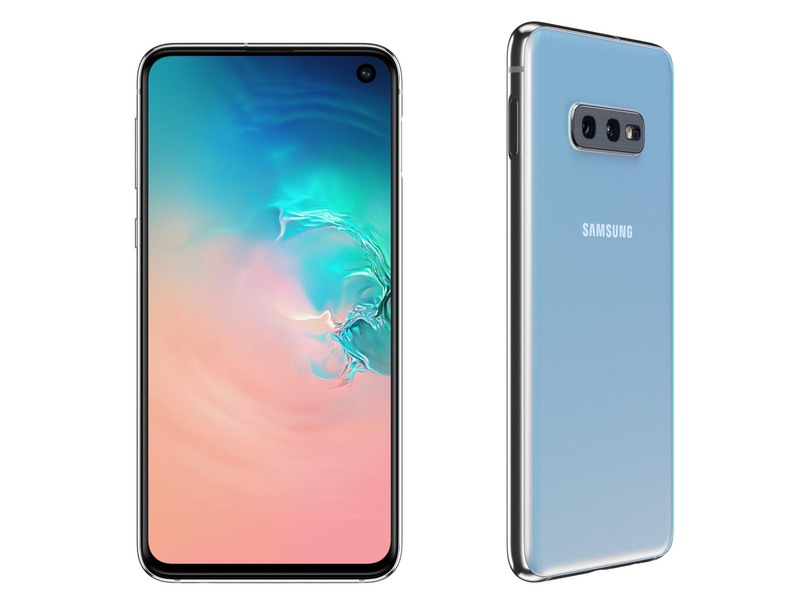 The Samsung Galaxy S10e is an outstanding phone that is the slimmest and most compact offering in their current line-up but retains a similarly brilliant Infinity-O display, a darned good front and rear dual camera setup and the same exceptional performance. If you need a compact high-performer of a phone, this is the best there currently is in the market. The 'e' in Samsung Galaxy S10e stands for 'essential', which means it packs almost everything the S10 and S10 Plus have, at a lower price. You get a 5.8-inch screen, the same two primary cameras, and all-day battery life, but you’ll miss out on a third lens, slightly higher specs, and the in-screen fingerprint sensor. That's the tempting compromise offered by Samsung's answer to the iPhone XR. Stay tuned as we put it through its paces and give it a thorough review soon! In the meantime, the Galaxy S10e and its siblings are still up for preorders on Samsung’s official page here and its partners as well till February 28 2019 with a ton of goodies thrown in for good measure. Samsung unveiled three new Galaxy S10 series models at an event in San Francisco on Wednesday - the Galaxy S10, Galaxy S10+, and Galaxy S10e. Samsung's latest flagship offerings are packed to the gills with features in the hope of giving sales at the top-end of the market a boost after the underwhelming showing by the Galaxy S9 and the Galaxy Note 9. 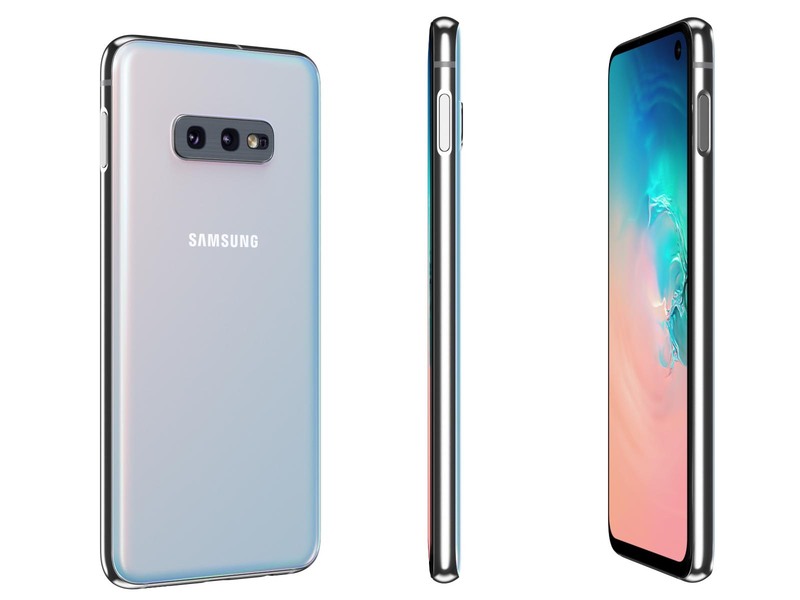 The headline feature on the Galaxy S10 and Galaxy S10+ is perhaps the in-display “ultrasonic” fingerprint scanner, while all three new phones feature “hole-punch” selfie cameras at the top-right. It might be the cheapest model in the Galaxy S10 line-up, but the Galaxy S10e does not skimp on the brilliant build quality that the huge-successful Galaxy S range is known for. The S10e even includes the same Infinity-O design as its pricier siblings. However, those hoping to shoot Live Focus photographs might be a little miffed by the dual rear-mounted camera, which includes the ultra-wide shots of the S10 and S10 Plus – at the expense of bokeh-drenched portraits. We’re trying to secure devices for review, namely the S10 or S10+, although previous attempts haven’t been successful and we typically have had to go out and buy at least one of our review units. As a result, we need to be smart about what we test. Because these are offered in two versions each, with either the Qualcomm or Samsung chips, what type of review would you prefer to see? Finally, if you want to futureproof yourself for 5G, or you just want the absolute biggest display you can get, the S10 5G is the only choice for you. Unfortunately, this option won't be available in Singapore since we're nowhere near having an official 5G infrastructure. We’re now in an era of smartphone design where we would mostly associate performance with size. That’s not the case in the Galaxy S10E. It’s compact which makes it an ideal match for users who don’t like big phones, has dual-rear cameras and is powered by Samsung’s most powerful chipset to date. Yes, it may be small, but it’s definitely powerful. With flagship prices being what they are nowadays, we’re pretty surprised that the Galaxy S10e carries a price of Php 39,990. That’s certainly a big change from what we’ve come to expect from a flagship made by Samsung, which is probably a small admission on their part on the rising prices for flagships. The Galaxy S10 has certainly upped the ante, on paper. There's something for everyone when it comes to screen size, assuming you're prepared to put your hand fairly deeply into your pocket. 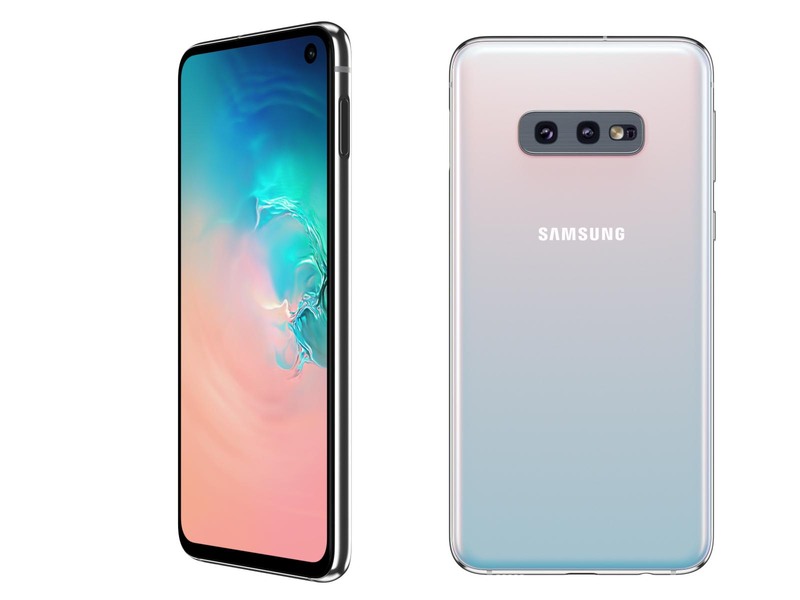 The Galaxy S10e, Galaxy S10 and Galaxy S10+ will be available -- priced from $749.99, $899.99 and $999.99 respectively -- from the usual suspects (Verizon, AT&T, T-Mobile, Sprint, U.S. Cellular) and unlocked directly from Samsung. Preorders open up tomorrow, and the smartphones will ship (and be available in stores) on March 8th. We should also note that Samsung is throwing in a free set of Galaxy Buds with preorders. Availability for the Galaxy S10 5G is slated for the first half of 2019. Regarding specific storage and size variants, the Galaxy S10 is available in 128GB of storage with 8GB of RAM, and 512GB of storage with 8GB of RAM. The S10+ features 128GB of Storage with 8GB of RAM for the standard version, and 512GB with 8GB or 1TB with 12GB for the Ceramic version of the smartphone. Predictably, the latest high-end Galaxies don't fail to dazzle. They have the fine build that we've come to expect from Samsung's flagships, class-leading displays that are now synonymous with the brand and cameras that have taken the next evolutionary step by embracing the ultra-wide angle modes. Oh, and also internals that make competing offerings seem like a compromise. Samsung Galaxy S10e initial review: The Galaxy S10 model to buy? The Samsung Galaxy S10e looks great and on first glance, it's tricky to tell it apart from the Galaxy S10. There are some telltale signs, like the flat screen and the dual camera instead of triple camera, but the S10e is still a solid, premium device. Samsung Galaxy S10e Der Geheimtipp? 94% Samsung Galaxy S10e Der heimliche Star? Samsung Galaxy S10e Das kleine S10 ist das Größte! Vì sao nhất định là Galaxy S10e nếu bạn thích sự nhỏ gọn nhưng vẫn đẳng cấp? Første indtryk Samsung Galaxy S10e – den man skal gå efter? ARM Mali-G76 MP12: En del nyare spel kan spelas med de här grafikkorten, men bara om de är mindre krävande. De har ändå tillräcklig kapacitet för kontorsbruk och film (möjligen högupplöst). Är grafikkretsen dessutom integrerad kan batteritiden vara utmärkt. » Mer information finns i vår jämförelse av mobila grafikkort och motsvarande benchmarklista. 5.8": Den här skärmstorleken resulterar i en relativt stor smartphone, men storleken är vanligt förekommande. Större skärmar möjliggör högre upplösning så att detaljer som bokstäver blir större och jämnare. Å andra sidan är strömförbrukningen lägre med mindre skärmar och enheterna är överlag mindre, lättare och billigare. » För att ta reda på mer om skärmupplösning, läs vår DPI-lista. 0.15 kg: Väldigt få smartphones väger mindre än så här. 87.62%: Det här är ett bra betyg och över genomsnittet. Mellan 10 och 15% av de bärbara datorerna får som regel bättre betyg.